Slow, boring, tedious, rip-off; that would explain 100 to 1 Bagatelle, the roulette themed game in the bookies. 100 to 1 Bagatelle is basically an extension to regular Bagatelle Roulette which uses standard roulette rules and odds. The 100 to 1 version extends on that earlier concept but still manages to retain the same basic roulette layout, with 37 numbers ranging from 0 to 36. Bet on any of the numbers with chips as low as 10p each, including outside bets from £1, then press bet. What then follows is a pinball style animation that launches your ball as it then makes its way through a forest of pins with the roulette numbers at the bottom. If it lands in a number that isn’t covered, the game is over, however if it lands in one with some chips on, part two of 100 to 1 Bagatelle begins. A crazy amount of balls, 50 to be precise, are fired all over the place then drop down through the same pins as before. As each ball lands you are paid certain odds for how many land on your number. None landing in your number pays 70/1 and five pay 100/1. The others in-between are all pretty low except for four which pays 50/1. When I played it I kept getting one or two balls paying 15/1 and 20/1 respectively. As the returns were so low, I would have been far better off playing regular roulette. I know I was probably just unlucky, but even playing Key Bet 500 would have been far better than this. As well as the continuous bad returns, 100 to 1 Bagatelle is so damn slow it actually puts you off from playing too often. I personally wouldn’t play this again. 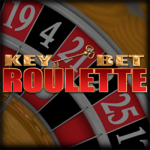 If you want high odds, far better roulette games such as Key Bet 500, Dragon Bet Roulette and 100 to 1 Roulette are all available, most of them on the same betting terminals. From my own personal experience, you are very unlikely to see a return of 100/1, but even so the maximum bet per number is just under £5. The game actually looks pretty good, and the animation of the ball bouncing and falling makes it appear very realistic, but the biggest drawback for me was the slowness of the game, I would never play again because of this. Of course, some people enjoy a slower game, but I don’t think roulette is the way to go. There are plenty of slow paced slot machines out there which won’t make you want to pull your hair out. This game does have potential for a good winning streak, but bare in mind that the odds of landing on one of your winning numbers is 37/1, so if you find yourself constantly been returned 15/1 or 20/1 as I was, you’ll be better off playing regular roulette or bagatelle. 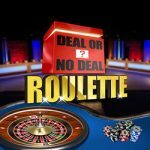 Bagatelle and Roulette with up to x100 Winnings. Standard bookies roulette numbers with the chance to win up to x100 your stake.